My latest assignment published in the Anthony Bourdain: Parts Unknown web produced by CNN and Roads and Kingdoms. 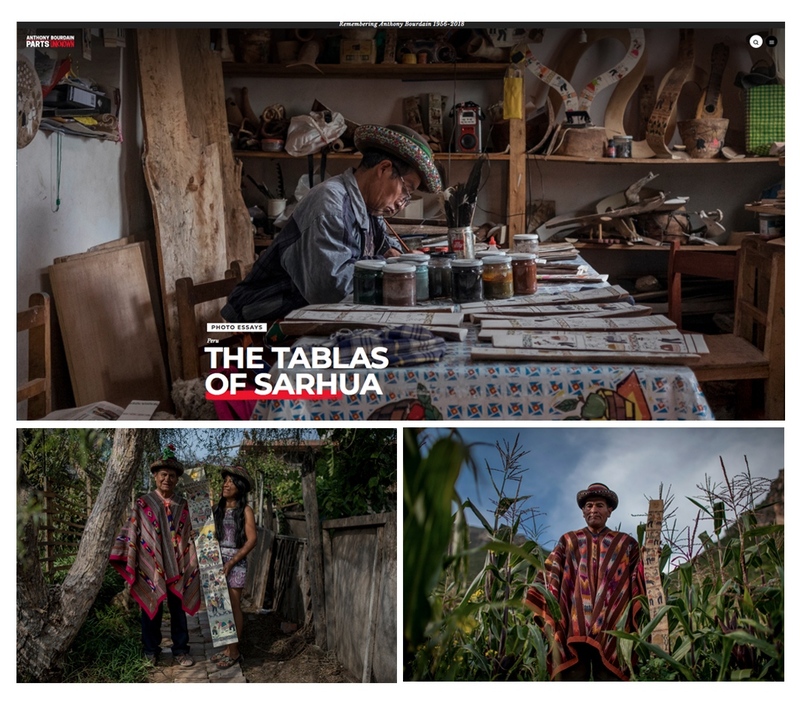 This week a special review of Peru and part of the story I produce about the traditional ´Tablas de Sarhua´. Many thanks to the artisans Porfirio Ramos, Misael Contreras, Marcial Berrocal, Primitivo Evanan y Venuca Evanan for opening their doors. The tablas painters of Lima preserve a centuries-old tradition.